Great Course Selection: Hundreds of scriptwriting courses are offered. Each one is taught by a professional writer and teacher. Approved by the UCLA Academic Senate, the Writers’ Program curriculum combines real world knowledge and academic excellence. Flexibility: Students can pick and choose classes to take. Whether you just want to try a one-day workshop or take on a full course load to learn more about writing a screenplay, the Writers’ Program curriculum can be tailored to suit your writing needs, goals, and lifestyle. Online or Onsite: Beginning, intermediate, and advanced courses are available both online and onsite. There are classrooms on the UCLA Campus and at the Figueroa Courtyard in downtown Los Angeles. Online courses offer students the opportunity to take classes anywhere and at anytime, using a PC or Apple computer with reliable internet access to participate in online courses on Blackboard. Industry Expertise: Program Director Dr. Linda Venis is the editor of two of the best screenwriting books available for learning film and TV industry fundamentals: “Cut to the Chase: Writing Feature Films with the Pros at UCLA Extension Writers’ Program” and “Inside the Room: Writing TV with the Pros at UCLA Extension Writers’ Program.” Chapters were contributed by instructors who have collectively written hundreds of movies and TV shows with credits including Liar Liar, Journey to the Center of the Earth, House and The Simpsons. Learn From Qualified Instructors: More than 200 Writers’ Program teachers are working writers who have published or produced credits, or who are in allied screenwriting professions such as agents, publishers, studio executives, and literary managers. In addition to the onsite instructors, the Writers’ Program draws upon accomplished writers from around the country and the world to teach in its online classrooms. Pathway to Success: Scores of major writers have gotten their start at the UCLA Extension Writers’ Program. Alumni have gone on to achieve screenwriting success in films such as Pirates of the Caribbean: Curse of the Black Pearl; Twilight; and the Academy Award-nominated Letters From Iwo Jima. Master Classes: If you have the passion, talent, and determination necessary to produce professional-quality screenplays, apply for acceptance into Master Classes in Feature Film Writing or Novel Writing. These advanced seminars admit a limited number of students and require submission of a complete novel or feature-length screenplay. Writers Studio: Presented once a year, the Writers Studio brings together a community of fully-engaged writing students to workshop with some of Southern California’s most accomplished writers and teachers. Participants choose one workshop in which they work closely with a professional writer in a size-limited class. Easy Enrollment: As the largest university-related continuing education writing program in the nation, the UCLA Extension Writers’ Program has an open admissions policy. It welcomes writers of all levels who are 18 years or older to over 450 courses annually in creative writing and screenwriting. There is no formal application process; students may sign up for as many or as few courses as they like at the appropriate level (beginning, intermediate, or advanced) to help them meet their writing goals. 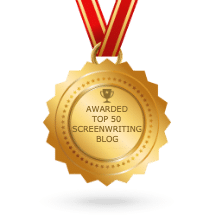 Screenwriting Resources Page: Screenwriting competitions are the best way to practice your skills at writing screenplays. The school’s resources page lists some of the most reputable competitions and includes a helpful calendar of upcoming entry deadlines. The page is also loaded with information on possible avenues for exposure, fellowships and labs, job openings, screenwriting tips, networking opportunities, trade news, and lists of the best books on screenwriting. This could be the extra push needed to get a new screenplay writer going in the right direction. 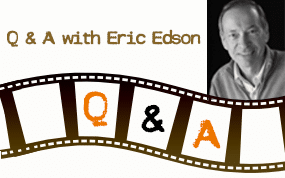 Thanks for this wonderful shout out for the UCLA Extension Writers’ Program, Eric! 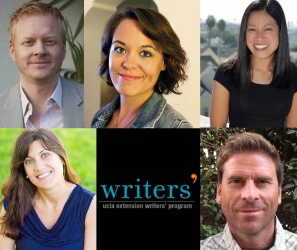 Did you know that your excellent The Story Solution is cited in Chapter 2, Cut to the Chase: Writing Feature Films with the Pros at UCLA Extension Writers’ Program?